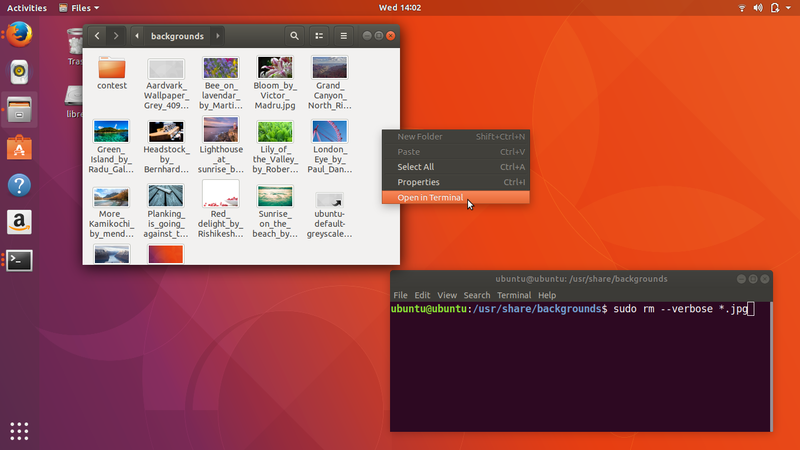 How Useful is "Open In Terminal" Feature on Nautilus? 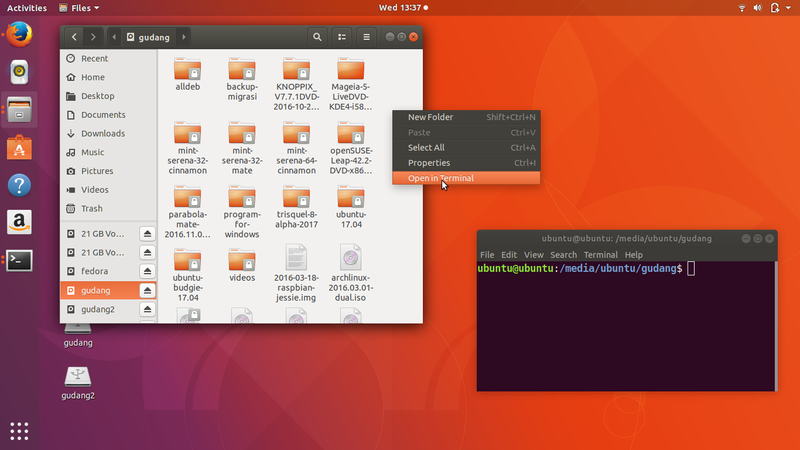 The file manager of Ubuntu, Files (or formally called Nautilus), has a very useful feature called 'Open In Terminal' ('OIT' for short). This article reveals some examples that are helpful for repetitive jobs in daily use. 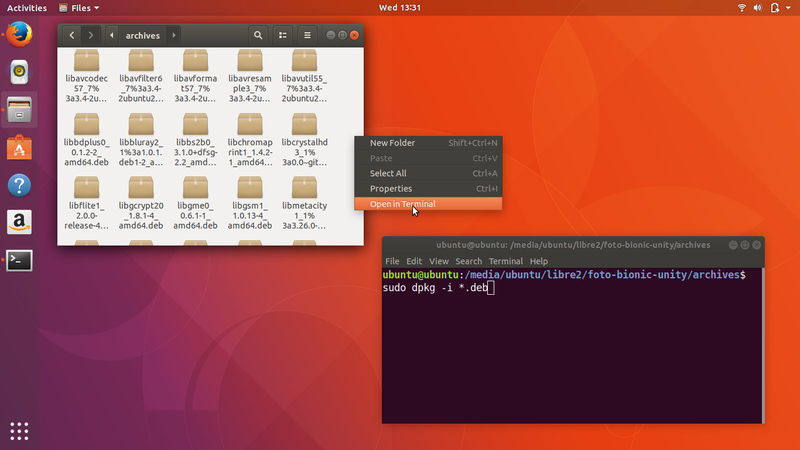 However, despite this article is for Nautilus, you can apply the same examples in Caja, Nemo, DFM, or another file manager as long as it has 'Open In Terminal'. Happy working! Without Open In Terminal ('OIT'): all repetitive jobs should be done manually by you. What are them? They are the navigation in the console (typing navigation commands, knowing where to find what, change directory, list content of directory, print working directory, etc.). 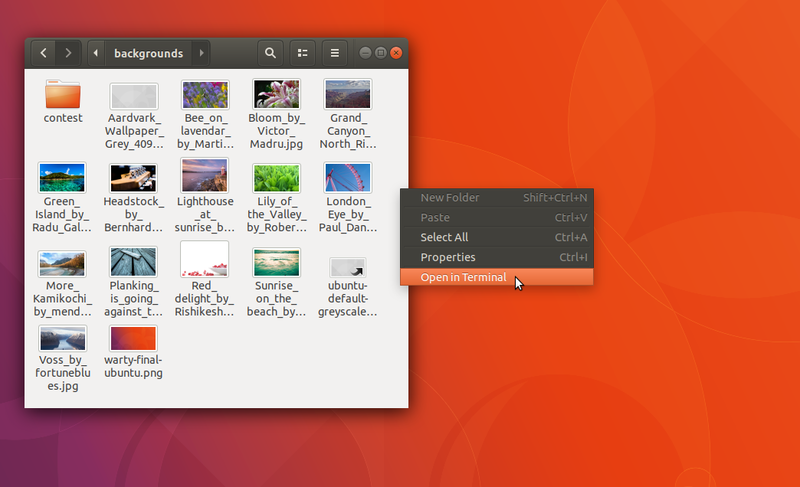 By simply using right-click > Open in Terminal, you avoid all those unnecessary hassles by directly go to the selected folder. 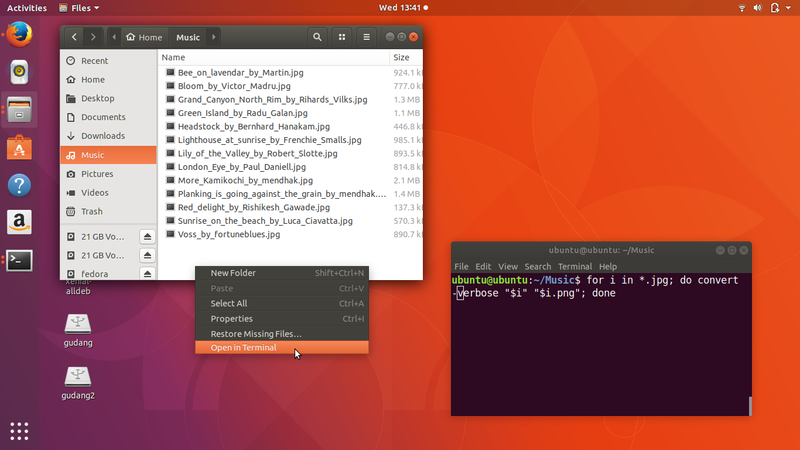 For convenience here, I shorten 'Open In Terminal' into 'OIT'. Using OIT makes you quicker to run a shell script. For example, imagine one shell script myscript.sh contains 3 commands: to set the time, to remove the junk files, and to reduce screen brightness at once. If you use OIT, you just open the Terminal right at the folder of that shell script, and call the script ./myscript.sh . Imagine how useful doing this if you often running LiveCD Session like me (could be 20 times a day). Using OIT is simpler: go to folder where .deb files stored > right-click > Open In Terminal > invoke a command line sudo dpkg -i *.deb > all packages installed. Without OIT, you would type many commands, perhaps with some mistakes. 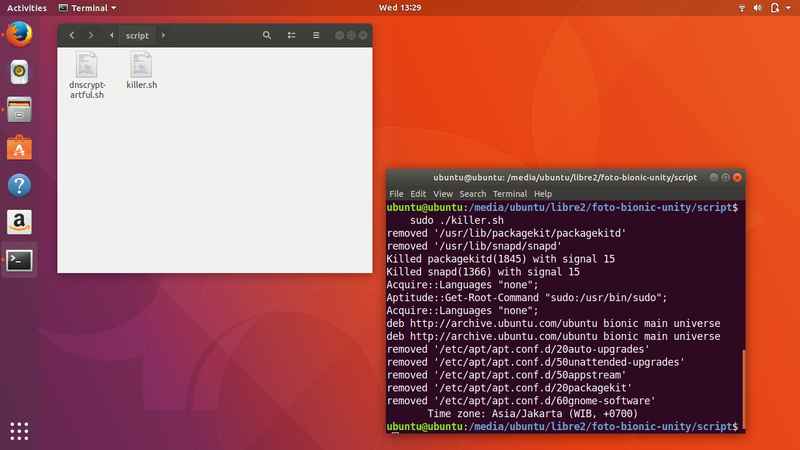 But with OIT it's simpler: go to the folder > right-click > Open In Terminal > invoke a command line sudo rm -v [file_name] > targeted file(s) deleted. OIT makes you don't need to know where your system mounts the partitions. In case you don't know: Ubuntu auto-mounts partitions at /media, while Fedora does at /run, another distro may be at /mnt or somewhere else. With OIT, you don't need to know, it's simpler: go to the partition > right-click > Open in Terminal > you enter it. 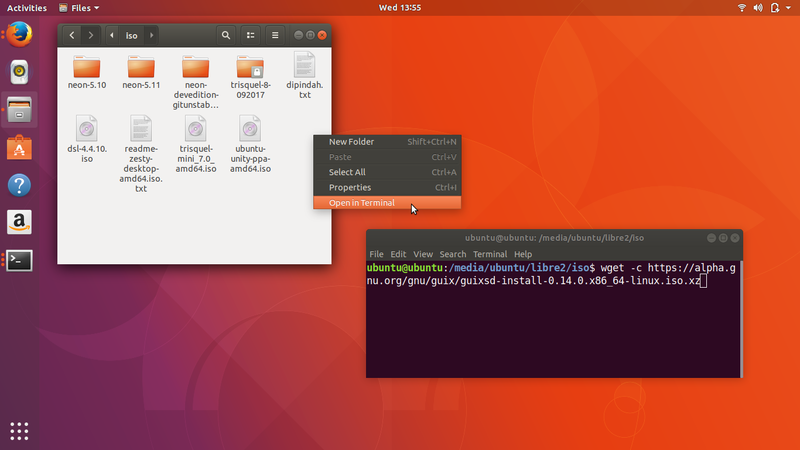 There you can invoke command lines such as pwd and ls to know your path. But, how if you don't have OIT? You would need to know the path of folder containing your images or to do repetitive change directory commands to go there. That's time consuming. With OIT it's simpler: go to the folder > right-click > Open in Terminal > invoke example command above > all images converted. Instead of determining the path manually in wget command, it's simpler if you use OIT: go to the folder > right-click > Open in Terminal > invoke wget command there > the file saved into that folder. By this, you no longer need to manually copy downloaded files to another folder after downloading.